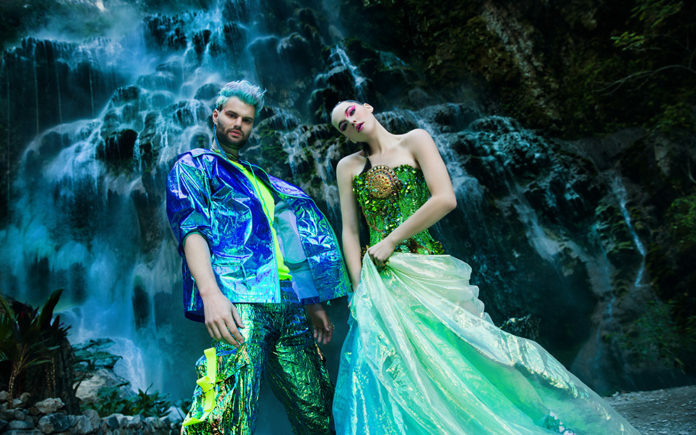 Grammy-nominated for the 2018 Best Dance/Electronic Album for Treehouse and 2016 Best Dance Recording for Drinkee, the potent musical duo SofI Tukker are graciously returning to the 2019 Coachella Valley Music and Arts Festival. Coachella Valley Weekly was enlightened by the wide-ranging conversation as we spoke via Bluetooth as they drove to rehearsal for a show in Phoenix as they properly prepare for the “big stage” once again. CVW: This is your second time performing at Coachella. Does the excitement taper off? CVW: One thing that sets Sofi Tukker apart is the use of multi-instrumentation in your live shows. How do you predetermine what you will do on stage? CVW: Your new song Fantasy is great and it sounds like it will go over well at Coachella. Any more new music on the horizon? CVW: What’s on your agenda for your break between Coachellas? CVW: What was it like early on for you two pre-Sofi Tukker? CVW: Sofi Tukker continues to expand the art of music making. Where do you see your musical march taking you? Is there a journey’s end? CVW: Has there been any significant artistic discord and when that has happened, how have you resolved any conflict? CVW: Our desert music community is increasingly wide-ranging and we’re seeing many artists flourish because of the community support they receive. Did either of you have that prior to or in the early days of Sofi Tukker? CVW: There’s no way around the elephant in the room. Where does Sofi Tukker fit in the music world? CVW: Are there any basketball techniques or intelligence that can be transposed to the music world? CVW: I’m just kind of blown away by how you two approach Sofi Tukker and each other. We could all learn a lot about music and life from you two and your relationship.